Each week seems to bring a new disclosure of a cybersecurity breach somewhere in the world. In 2016 alone, over 3 billion customer data records were breached in several high-profile attacks globally. As we look at current state of cybersecurity challenges today, we see the same types of attacks, but the sophistication and scope of each attack continues to grow and evolve. Cyber adversaries are now changing their tactics and targets based on the current security landscape. For example, as operating systems became more secure, hackers shifted back to credential compromise. As Microsoft Windows continually improves its security, hackers attack other systems and third-party applications. Both the growth of the internet and the Internet of Things (IoT) is creating more connected devices, many of which are unsecure, to carry out larger Distributed Denial-of-Service (DDoS) attacks. Due to the insecure implementation of internet-connected embedded devices, they are routinely being hacked and used in cyberattacks. Smart TVs and even refrigerators have been used to send out millions of malicious spam emails. Printers and set-top-boxes have been used to mine Bitcoins and cybercriminals have targeted CCTV cameras (common IoT devices), to launch DDoS attacks. Microsoft has unique visibility into an evolving threat landscape due to our hyper-scaled cloud footprint of more than 200 cloud services, over 100 datacenters, millions of devices, and over a billion customers around the globe and our investment in security professionals focused on secure development as well as protect, detect and respond functions. In an effort to mitigate attacks, Microsoft has developed an automated platform, as part of Microsoft Azure, that provides a rapid response to a DDoS attack. On our software-defined networks, the data plane can be upgraded to respond and stay ahead of network traffic, even while our service or corporate environment is under attack. Our DDoS protection platform analyzes traffic in real-time and has the capability to respond and mitigate an attack within 90 seconds of the detection. 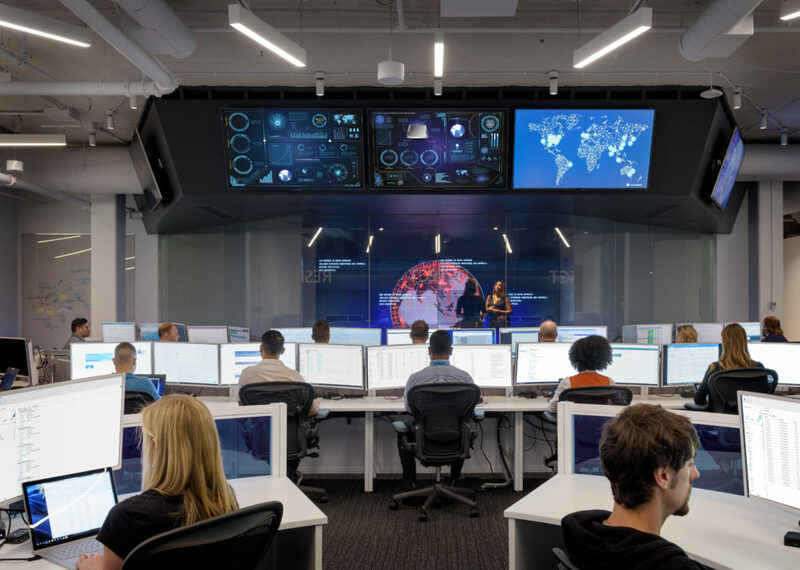 In November 2015, we opened the Cyber Defense Operations Center (CDOC) to bring together the company’s cybersecurity specialists and data scientists in a 24×7 facility to combat cyber adversaries. In the year since opening, we have advanced the policies and practices that accelerate the detection, identification and resolution of cybersecurity threats, and have shared our key learnings with the thousands of enterprise customers who have visited the CDOC. Today, we are sharing a Cyber Defense Operations Center strategy brief that details some of our best practices for how we Protect, Detect and Respond to cyberthreats in real time. 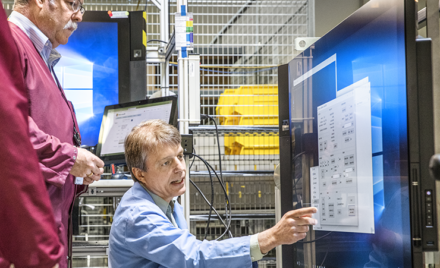 Microsoft’s first commitment is to protect the computing environment used by our customers and employees to ensure the resiliency of our cloud infrastructure and services, products, devices, and the company’s internal corporate resources. Extensive monitoring and controls over the physical environment of our global datacenters, including cameras, personnel screening, fences and barriers and multi-factor authentication for physical access. 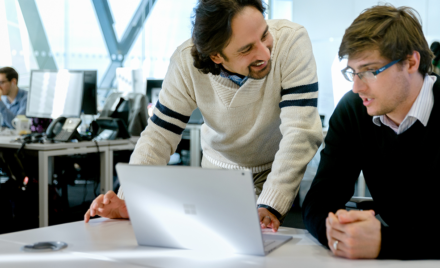 Microsoft Malware Protection Center’s team of researchers identify, reverse engineer and develop malware signatures and then deploy them across our infrastructure for advanced detection and defense. These signatures are available to millions of customers using Microsoft anti-malware solutions. Monitoring network and physical environments 24x7x365 for potential cybersecurity events. Behavior profiling, based on usage patterns and an understanding of unique threats to our services. There is a lot of data and tips in this strategy brief that I hope you will find useful. You can download the Cyber Defense Operations Center strategy brief to gain more insight into how we work to protect, detect and respond to cybersecurity threats. And I encourage you to visit the Microsoft Secure website to learn more about how we build security into Microsoft’s products and services to help you protect your endpoints, move faster to detect threats, and respond to security breaches.